Workout plans are just as varied as different types of music or dance...Find the path that's right for YOU! Why, What, Where, When, How Much? Treat this like a recipe and follow it step by step...you can do it! As little as 30 minutes, 3 times a week of exercise and adjusting your eating patterns can change your life! ANY weight loss routine will work if it meets these 3 requirements. You will see results even doing just one of these. The key to #1 and #2 is to make them challenging! Here’s another analogy. (I'm famous for analogies). Think of boiling water on the stove. If you just turn the burner on “simmer” or “warm”, the water will probably never boil – that’s like a slow walk on the treadmill…it's just not enough. In order to get the result you want, you must TURN UP THE HEAT to make the water boil! It’s the same with your body. When you create a workout plan, it needs to be intense enough to be challenging. This is what will cause changes within your body. There are a ton of ways to meet these 3 key points. Your choices of how you accomplish each of these steps are almost limitless based on what YOU feel is right for you! Want some examples of energizing your whole body? 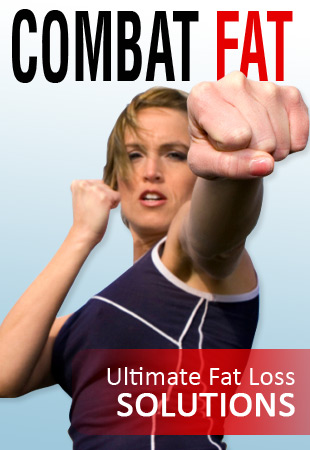 Fast paced, popular at home DVD programs like P90x, insanity and others meet all 3 points. Joining a gym: using the weights, machines and cardio equipment to work your big muscle groups and doing intense cardio for as little as 30 minutes, 3x week and cleaning up your eating will also work. At home gyms: like the Total Gym and BowFlex, are very popular. Using the right multi-joint exercises on home equipment, jogging in your neighborhood and changing your eating habits is another valid option. Attending a boxing class is a great combination of energizing your whole body and getting your heart pumping! Working out at home with weights, exercise bands or even just your own body weight are great options too. Whatever exercise plan you see in magazines, on the internet or on TV, see if it meets the above 3 criteria of working your big muscles, cardio and changing your eating habits. If it does, then it has a great chance of working for you! The traditional, tried and true method of a typical exercise routine for years has been "Set, Rest, Repeat". This simply means doing an exercise for a certain number of times (repetitions, or reps), then resting for about a minute, then repeating the set. After 3-5 sets, you move on to the next exercise and do the same. This approach will work well for beginners as it allows them to ease into a weight training routine. And it can continue being an effective plan as long as you challenge yourself with increasing the weight and varying the exercises so your muscles do not get bored. Instead of resting between sets, you can save time by doing another exercise that uses different muscles. For example, you could do a set of squats and then immediately do a shoulder exercise, then right back to the squats. Not only will this save time, but it will also have a cardio effect and burn more calories! Circuit training: Pick several exercises that work different parts of your body and do all of them back to back with little or no rest in between. Do you need some personal help to create your plan? Just ask! Be Consistent and Honest with yourself! When you create a workout plan, you have to be able to stick to it. Otherwise, you will only have temporary results if you return to the same old habits that got you where you began. This is the sneaky little part that gets most people when they create a workout plan…. Many people fall in the trap of working out and eating faithfully for a few days or weeks at a time, but then they go days or weeks NOT working out at all and eating poorly, and then wonder why they are not seeing results! Keeping a food dairy and an exercise dairy/calendar will keep you on track. As long as you write it down (and don’t lie to yourself), they will give you an honest look at how well you are doing. Record and measure your progress to ensure you are moving toward your goals. Do not just rely on the scales! Sometimes its obvious to see if you are getting stronger and/or losing weight when you create a workout plan -but not always. Setting goals and keeping track of workouts, measurements, how your clothes fit....these are all ways to monitor yourself. Much of the time you will see your clothes getting looser but no change on the scales...why is that? Fat is "puffy" and takes up more space than the same amount of muscle, which takes up less space. So many times you can be getting smaller in size but see no change in your poundage. Also, seeing progress is very motivating! There always comes a time when your results plateau. When they do, that's a sign that it's time to change up your routine. What level are you? Click on your level for detailed instructions on how to get going! Beginner: You have done little to no physical activity in a long time – maybe even since gym class in high school! Don’t worry…it’s never too late to start and you can start NOW! Intermediate: “Hit and Miss”. Perhaps you exercise from time to time, but not consistently. Maybe you’ve been a member of a gym but you don’t go enough that the front desk girl recognizes you. Regular: You work out at least once or twice a week. Sometimes you sweat, sometimes you don’t. You stick to the same exercises and machines, and rarely change anything. Hey – at least you are doing something, but it’s time to shake things up! Advanced: You love working out! You constantly try new things to challenge yourself. Maybe you have done programs from start to finish like P90X. No matter what level you are, create a workout plan to challenge yourself and be consistent...these will be 2 “secrets” to your success. Return from "Create A Workout Plan" to "Exercise Guide To Lose Weight".